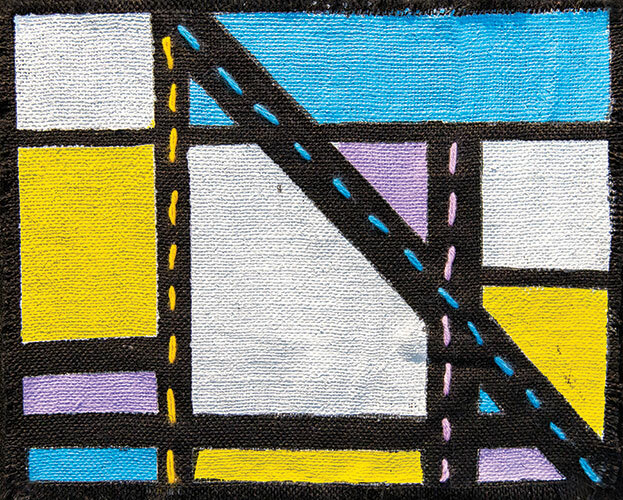 This project was designed to develop an understanding of how art elements and principles are used to produce abstraction in art (partial to complete) by responding to art and artists in the MoMA NGV exhibition with a focus on Mondrian’s paintings and by experimenting and exploring with a range of materials, techniques and processes to create their own artworks. 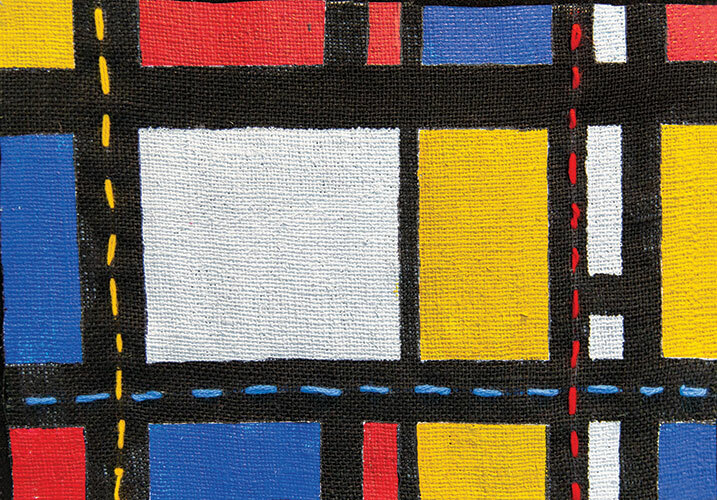 Explore and Express Ideas – To explore the evolution of Mondrian’s art and to utilise “Composition in red, yellow, blue” as inspiration for a non-representational textile based painting. 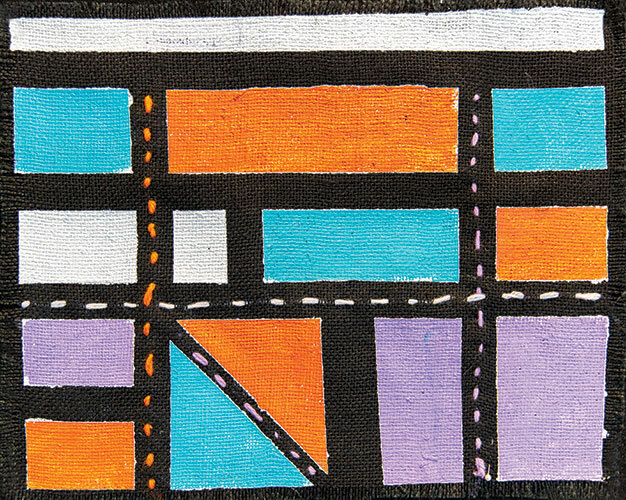 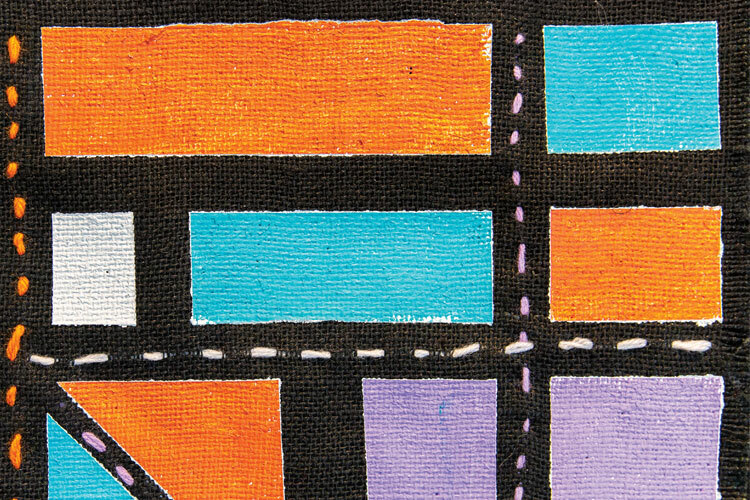 Visual Arts Practices – To create a textile painting that connects with Mondrian’s use of high contrast, bright colours and bold outlines. 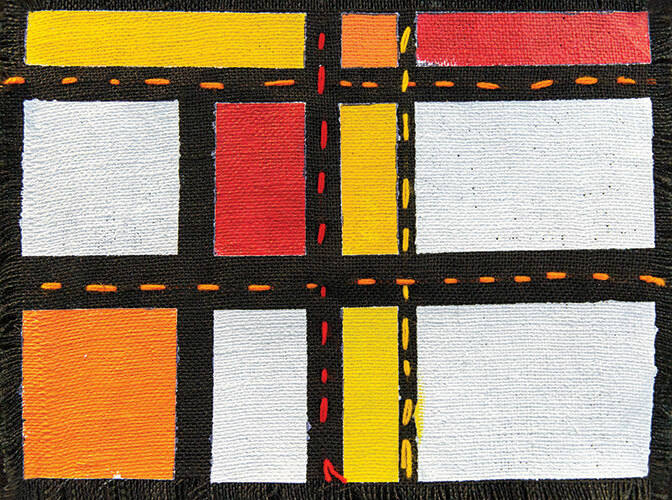 To practise the skill of sewing by adding running stitch lines into the Mondrian art piece. 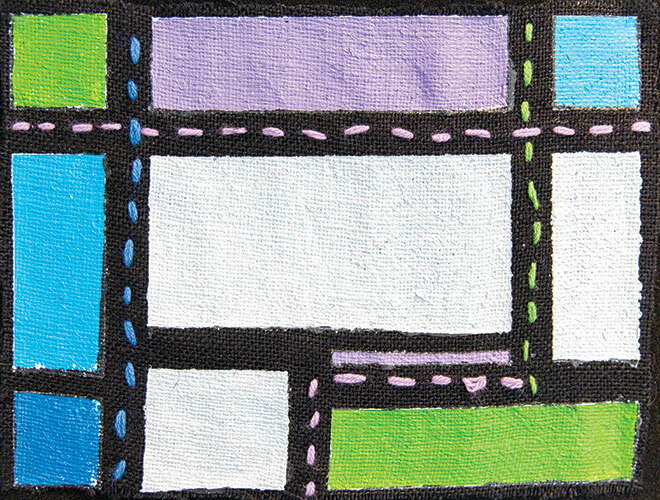 Present and Perform – To display the Mondrian inspired artworks along with reflection statements that talk about their choices as artists and the meaning behind their work. 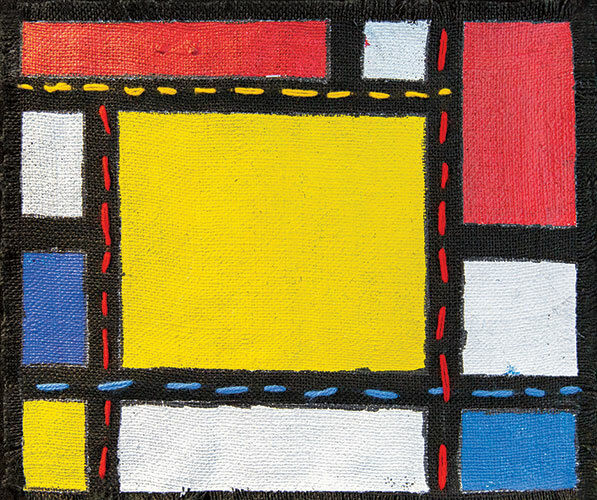 Respond and Interpret – To identify and talk about how Mondrian’s art (with a focus on Composition in red, yellow, blue) reflected his belief that objects must be simplified down to their basic elements to reveal their energy and balance.